Counter-Strike: Global Offensive has dropped its price tag and gone fully free-to-play. Valve’s competitive FPS took a tentative step towards free-to-play earlier this year, letting players try out bot matches before handing over cash, limiting cosmetics and trading. Now though, Counter-Strike’s entire package is available to access without cost. Players who had previously purchased Global Offensive will have their accounts upgraded to “Prime”. Free players won’t be allowed to play matches with Prime players, in an attempt to curb cheaters and “smurfing” - high ranked players creating new accounts to decimate lower ranks. Going free also suggests enough confidence in the game’s anti-cheat technologies, assuming they’ll be able to cope with the floodgates opened to all sorts of potential breaches. The firm has in the past said that it has 1,700 CPUs tasked with handling cheaters in its tactical online shooter. The newly-free Global Offensive is also taking a shot at Fortnite’s throne with a new battle royale mode. This previously-rumoured mode - dubbed Danger Zone - offers a far more compact take on the tried-and-tested formula. The mode’s one map, Blacksite, is significantly smaller than the likes of Playerunknown’s Battlegrounds Erangel or Fortnite’s island - but then, Counter-Strike’s Source engine is significantly older. 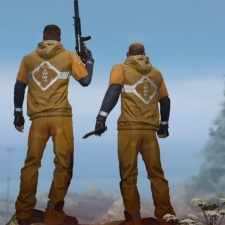 The game features 16 players in solo play, 18 in duos or trios. Weapons are acquired via airdrops as players pick up cash, and missile strikes will occasionally strike sections of the map. It’s certainly a side-show to the main Counter-Strike experience and may not prove too much trouble for the big genre players, but it’s interesting to see Valve provide a uniquely Global Offensive twist on an established formate. Of course, the update also includes new weapon skins and cases. More information on Danger Zone can be found on the Counter-Strike blog.